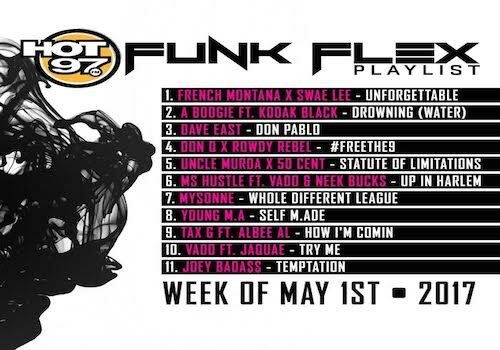 For the week of May 22nd we get new entries from Meek Mill, the Bronx rapper Snoopy Dinero and Joell Ortiz. This list is very true to the saying “This is what New York City sounds like.” Check out the playlist above. 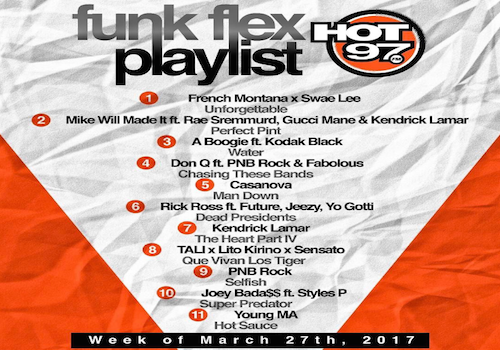 The Funk Flex weekly playlist is showcasing a lot of talent from the city this week. 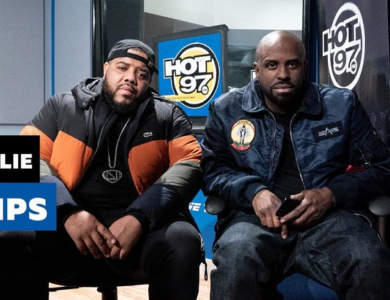 We get new records from Mysonne, Young M.A, Tax G, Albee Al and Vado. French Montana has the hottest record out holding the top spot. 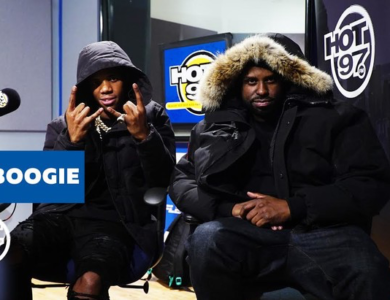 A Boogie, Don Q and Dave East hold the rest of the top 5. 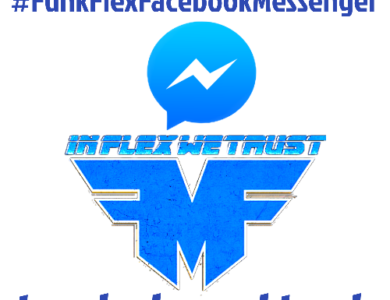 Check out the list above. This year is is flying by – it is April 10th already! This week the top five does not change much. 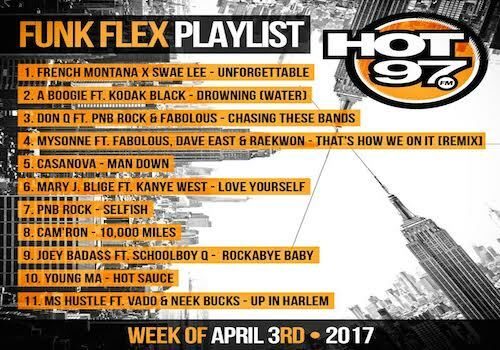 Ms Hustle out of Harlem holds down the 5th spot with her joint “Up In Harlem.” ASAP Ferg and SNS have new joints spinning on Flex’s show and Jaquae makes it back on the list. 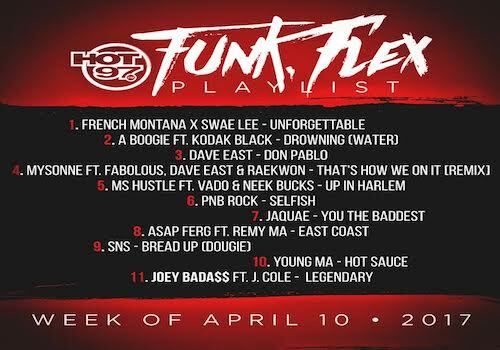 Check out the Funk Flex playlist above. 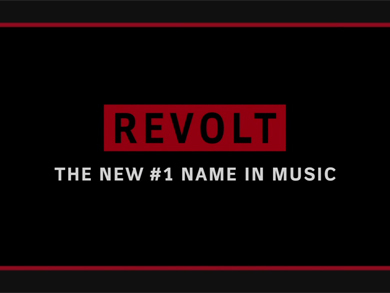 There’s a lot of new music being played and heating up the city. 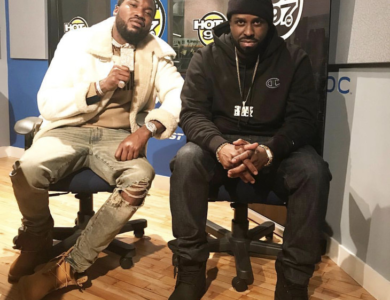 This week we get a remix to Mysonne’s “That’s How We On It” featuring Fab, Dave East and Raekwon. Along with the new Mysonne Joey Bada$$ has a one with Schoolboy Q called “Rockabye Baby” of his new album. 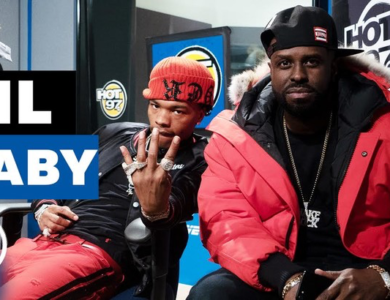 French, A boogie and Don Q’s records continue to remain at the top of the list. 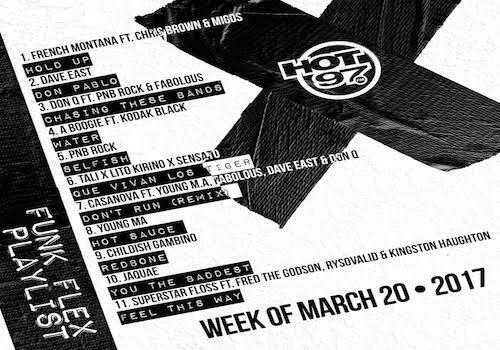 Casanova who’s currently on tour with Chris Brown has good one off his project called “Man Down.” Check out the list above and the top 5 records below. 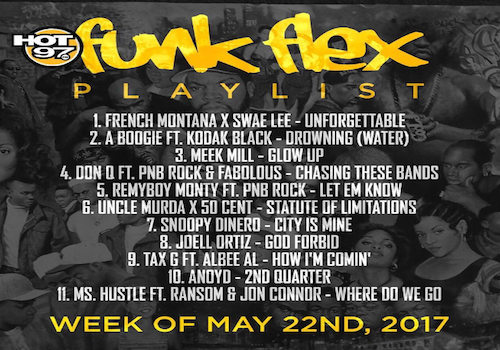 This week on the Funk Flex Playlist we get new entries from established artist like Rick Ross and Kendrick Lamar. Also Mike WillMade it enter the playlist along with a new one from Casanova. Check out the list above. Both artists had big opening weeks with record breaking numbers. Check all the data below. Pro Era YouTube Joey drops the tracklist to his sophomore album, #AABA with some pretty heavy real hip-hop features. NickiMinajVEVO In support of her three new singles she just dropped and for all Queens’ artists, Nicki releases her “Queens Got Da Crown” playlist via Tidal. Just being 24 hours removed from revealing the features and album cover for his upcoming project via Martha Stewart, Rozay shares the tracklist for Rather You Than Me.